BRYAN EATON/Staff Photo. 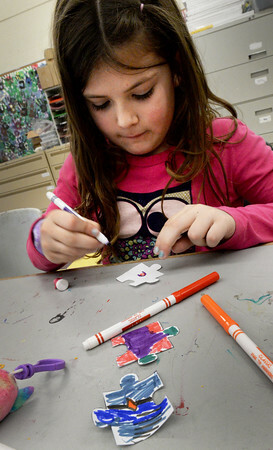 Ginny Bishop, 7, decorates puzzle pieces in the art room of the Boys and Girls Club yesterday. The pieces will be used as a border for a new bulletin board in the lobby with information for parents.